The Madshus Eon 62 nordic ski is the classic bridge between Madshus Nordic heritage and innovative downhill design. The Eon has more camber and a narrower platform than the Epoch of Annum, with the same reliable Omnitrak® waxless base, making it the perfect blend of efficiency and versatility for off-trail travel. Omnitrak® Waxless Base: The Omnitrak® waxless base is used on Madshus Cross Country Downhill skis. Engineered with five zones, the Omnitrak® base uses round, spaced scales in transition zones for a smoother, more efficient glide and sharp, tight scales underfoot for maximum grip. Yes, this ski has a waxless kick zone (fish scales). This is the Omnitrack waxless base. And yes you can also mount a BC binding to this ski. This ski does not have a NIS plate for binding mounting. This is a plain, flat-top ski that accepts a screw-in binding. A backcountry binding is appropriate for this ski. Does this ski have full metal edges? Can you put a 3 pin binding on it? Yes to both. 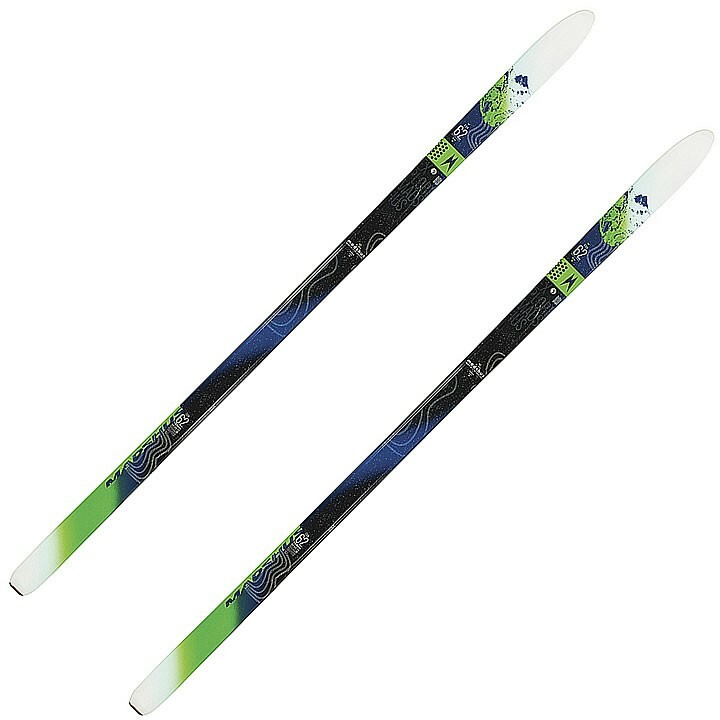 This ski has full metal edges and would be great accompanied by a 75mm BC binding or a NNN BC binding.